Besides its skyline-altering towers, one of the most exciting elements of Hudson Yards is the 12 acres of open space it will bring to the ever-densifying west side. Sure, the High Line, Hudson River Park, and the in-progress Hudson Boulevard are nice, but for a 17 million-square-foot development, the largest private undertaking of its kind in the U.S., adequate breathing space is of utmost importance. To recap, Hudson Yards is a $25 billion master plan rising on a four-city-block-wide railyard site in addition to a handful of parcels to its north and south. Championed by the Stephen M. Ross-led Related Companies in partnership with Oxford Properties Group, there will be more than 10 million square feet of office space, 4,000 apartments, a cultural center, a school, and acres of open space. The plan's landscape architects, Nelson Byrd Woltz (NBWLA), have their work cut out for them. 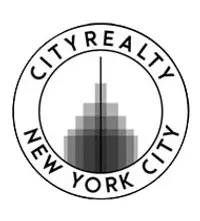 To gain the stamp of approval from New Yorkers, not only do the open spaces have to be beautiful, vibrant, and relaxing, they will need to be accessible and feel like a natural part of the city, instead of the private yards of the towers that encircle them. 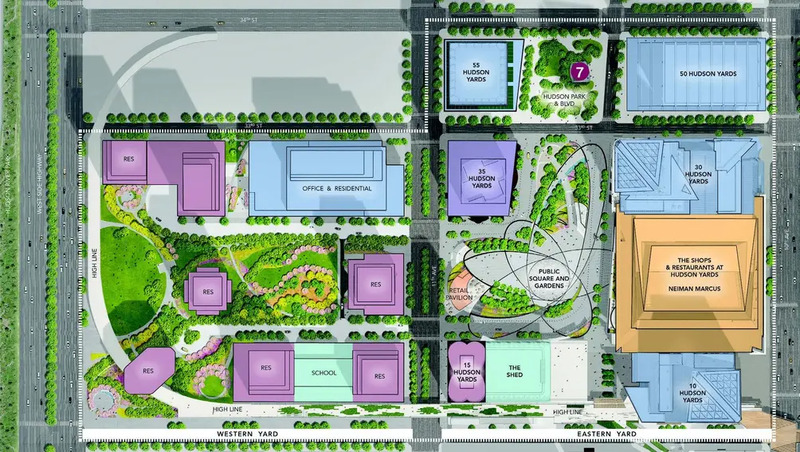 Upon the announcement that NBWLA will be creating the megadevelopment's public spaces, principal Thomas Woltz told the Architects Newspaper in 2012, “The urban plaza should be a kind of sitting room for the entire west side. It should be a place for spectacle, large groups, small groups, and individuals.” There will be groves of native trees, seasonally-timed plantings, and a water feature to attract visitors and New Yorkers alike. So far, judging from the site plan, we're not very optimistic Hudson Yards will feel like an extension of the city. The nearly-completed eastern yards, which has four enormous towers and the Thomas Heatherwick-designed Vessel at its center, won't exactly draw out your inner Om. The public gardens and square buffering the Vessel will be encircled by a semi-private road, separating the plaza from the buildings around it. Moreso, with all the scaleless glass and the shopping mall behind it, we can confidently say this won't be New York's own Piazza Navona or even Bryant Park. Nevertheless, a real New York neighborhood is not what Hudson Yards wants to be, despite what the press materials tell us, so we ain't mad. With the incredible amount of people working and living in this monument of capitalism, in addition to selfie-taking tourists visiting the Vessel, we're pretty sure the plaza on the Eastern Yards will be well used. To give the space a human scale, there will be intimate areas under leafy canopies with café chairs and tables on crushed stone beneath them. Furthermore, the plaza will be well connected to the city on most sides including from Hudson Boulevard and the High Line which rings most of the superblocks. With the eastern yards nearing completion, Related-Oxford is turning their attention to the western yards which promise to be more residential and more green. The eagle eyes at Skyscraperpage came across renderings portraying what the western end of the axial open space could look like. Its central orientation, framed by towers on either side were prescribed in MTA's original RFP. One rendering shows that the elevated, yard-covering deck the park will sit on will be roughly the same height as the High Line. An open lawn with views over the former freight train line and the Hudson River are in store. In another rendering, the same lawn is turned into an ice skating rink come winter time. Also shown are lush plantings, curving stone paths, a food kiosk, and a glimpse of one of the towers that will straddle the High Line. 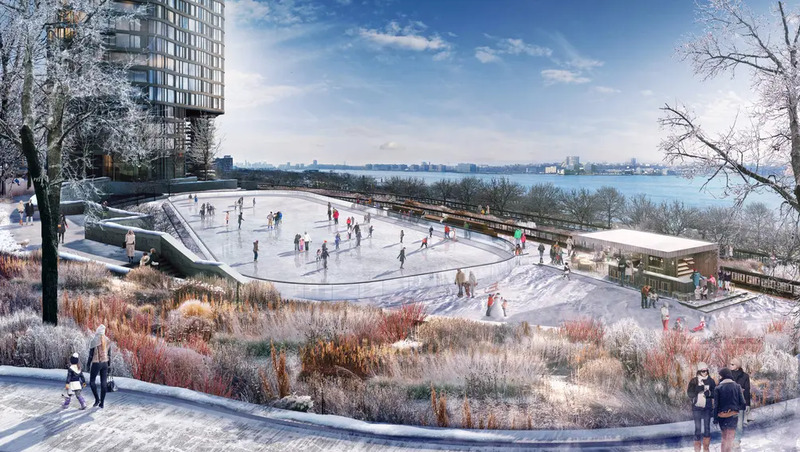 It's not yet clear if and how this end of the development will connect to the High Line or Hudson River Park across the West Side Highway. A staircase is shown in the images which we presume leads out to West 33rd Street. The site plan shows there will be seven residential towers, some reportedly designed by Santiago Calatrava and Frank Gehry, an office building and a school.